Find everything you need for a great party in Taupo. We can help you plan and book your party or a weekend get away. Having a party in Taupo? 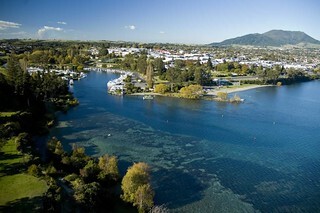 Taupo is a leading tourism destination where everyone can find an activity to suit their needs. The natural geothermal activity provides fantastic hot pools and spas for those who want to relax while the beautiful Lake Taupo offers every water sport you can think of. This is a town definitely geared toward tourists and offers a strong selection of restaurants and bars as well as fantastic shopping. Travelling by car or bus from the south is a must do when you visit Taupo. It is a scenic journey as you drive around Lake Taupo with many quaint cafes along the way to keep you refueled. Most major bus companies have Taupo has a rest stop on their route as it is a major tourist destination with great facilities. It also has an airport and will be a quick flight from Auckland or Wellington. A car is essential for all the attractions which are situated around the Taupo area such as the mountains and trout fishing, but be sure to rent a bicycle for a tranquil and scenic bike ride along the shores of Lake Taupo. Alternatively, tourism companies provide site seeing tours to cover many attractions that are out of the city itself. 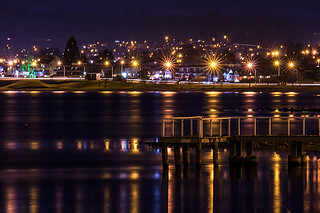 Taupo is a year round playground that can provide lots of great party ideas. Activities and things to see and do in Taupo include Trout fishing, hot pools, great food, jet boating at Huka Falls, and skydiving. The gorgeous Mt Ruapehu is home to the Whakapapa ski field that has options for all different competency levels. If your group is after the snow, the Whakapapa ski field is generally open from June to October but be sure to check as the snowfall can be different each season. If trout fishing is your thing, then Taupo is unique in that it has trout fishing areas that are open all year round unlike the rest of New Zealand. In summer, come and enjoy the watersports on crystal clear Lake Taupo that include parasailing, water skiing and wakeboarding. Prawn Farm—Try your hand at prawn fishing, eat at the delicious seafood restaurant, send the kids on the interactive trail or feed the trout. This is a wildly popular attraction. For large groups, make sure to book at the restaurant. You won’t belief how serious some get about catching the little prawns. Take home and eat the ones that you catch! This is a great birthday party idea for young and old. Huka Falls Jet—Be wowed by the Huka Falls but only the really keen go in to see it up close with an exciting ride on a Huka Falls jet boat. This is the only jet boat company that can take you to the base of the falls. If you’re an adrenalin junkie, this will be the ride for you. Skiing—It’s only an approximate one hour’s drive to the nearest ski field at Mt Ruapehu. All equipment can be rented from the ski field itself or from one of the many ski rental shops that you come across on the way. Lessons can also be arranged as well as season passes for those who want to go up every day. Never tried skiing before? This is the ideal group activity so you can all learn together with a prearranged lesson. Trout fishing—Want to see who can catch the biggest fish? Whether its fly fishing in the river or relaxing in a boat, the Taupo region considers itself the trout fishing capital of New Zealand. A great party idea is to go on an overnight adventure with one of the many charter boat options that Go Bananas can arrange. Tongariro Alpine Crossing—For anyone looking for physical activity combined with the most amazing scenery that New Zealand has to offer, the Tongariro Alpine Crossing needs to go on your bucket list. This tramp can take between seven to nine hours to complete and transport can easily be arranged to pick you up at the end of the trek. You’ll feel a fantastic sense of achievement at the end of it. After a hard day’s skiing, tramping or trout fishing, enjoy one of the many restaurants for dinner. Ploughmans offers some great value comfort food as you relax in front of the fire. For fabulous views of the lake, go no further than the Waterside Restaurant and Bar for a delicious meal or just a drink in a scenic location. Those looking to continue the activity long into the night will find some great bars in close proximity to one another.